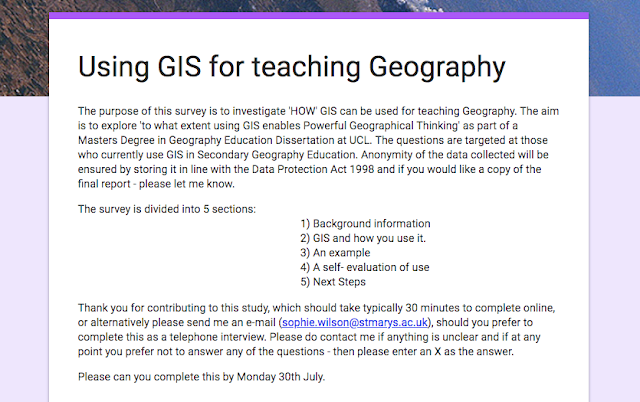 A request from Sophie Wilson, who is asking for help in answering one of her questionnaires for some research she is doing to investigate 'HOW' GIS can be used for teaching Geography. The aim of the case-study is to explore 'to what extent using GIS enables Powerful Geographical Thinking' for her Masters Degree in Geography Education Dissertation at UCL. 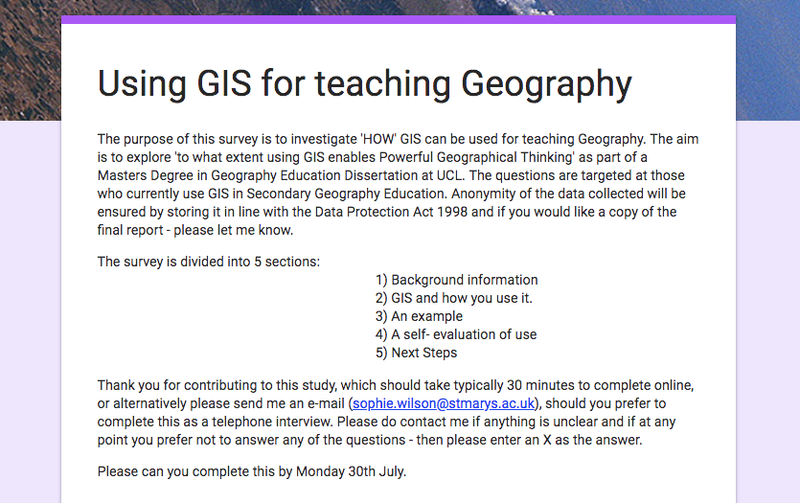 The questions are targeted at those who currently use GIS in Secondary Geography Education. Anonymity of the data collected will be ensured by storing it in line with the Data Protection Act 1998 and if you would like a copy of the final report - please let Sophie know. 2) GIS and how you use it. Alternatively please contact Sophie via e-mail (sophie.wilson@stmarys.ac.uk), should you prefer to complete this as a telephone interview. If at any point you prefer not to answer any of the questions - then please enter an X as the answer.